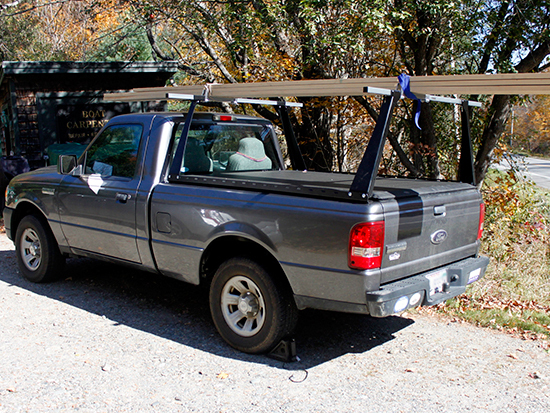 This truck bed rack has an average rating based on 46 customer reviews.
" 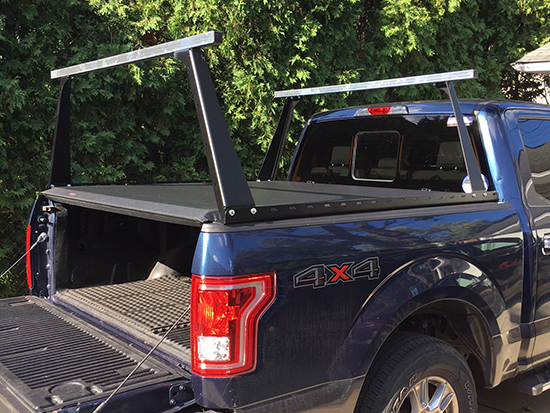 The tonneau cover and ADARAC combo work great together and are easy to install. Agri-Cover also has exceptional customer service. When I received the box containing the ADARAC I noticed the box was ripped open and taped shut. When I opened the box there were pieces and parts missing. The box was obviously damaged in transit and as a result pieces were lost during shipping. I called Agri-Cover customer service, and they quickly resolved the problem by shipping me the missing pieces even though it was obviously not their fault that the pieces were lost in transit. " " Very pleased with the rack. It is of good quality & installed with simplicity. I would have appreciated a more implicit accessory option. As I now must find a way to purchase the load dividers. Now I am having to pay for shipping again and delayed the use of the rack. " " Bought this product to carry kayaks. Easy to install. Only difference was the front stake pocket on the F150 was not where the additional insert that came with the instructions said it was. I think the rack will work even better when I get the load dividers to prevent movement. Company was very nice to deal with as well. I wish Adarac would provide more accessories for carrying kayaks. Cover is nice too. " 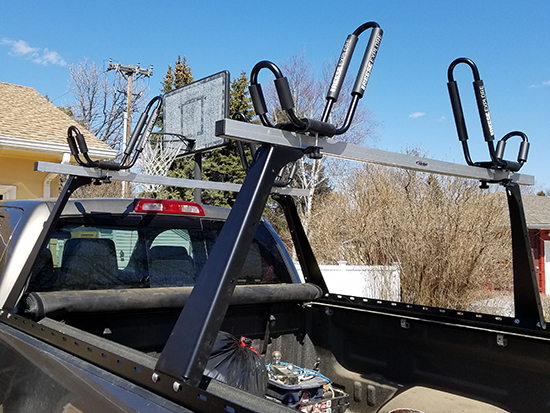 " Second Rack and cover I have bought and I love them . Price is great , delivered when they said they would and easy to install. highly recommend Agri-cover "
" Great product, shipped quickly, install not too difficult. " " Thank you. The cover has been great. Also a big fan of the Adarac. I can bring kayaks and bikes to the campground. The rack has held up great. " " The Adarac truck be rack is awesome. I needed it for hauling kayaks and paddleboard. Two kayak "J" racks fit nicely and I should be able to get two paddleboards stacked between each kayak. Awesome product and easy intallation. " " The product was received within 2 days of the date the order was placed. The installation instructions were easily understood and installation went smoothly. The tonneau cover and rack fit perfectly. I am very satisfied with the product and service. " " This is my second Access cover (both on F150s). I've been super-satisfied with both, they're the best cover I've used. Velcro is the way to go for securing the sides, the rear latch mechanism is perfect, and the tightness adjustment is simple, straightforward, and effective. " " I purchased both the Access cover and the Adarack. This is the second cover I have purchased -- the first was installed on my old truck over 11 eleven years ago and it performed flawlessly. Indeed it still is doing the same for the new owner. The new one installed easily on my 2008 Ranger and works great. The Adarack also installed easily as well -- even though it was not intended for the Ranger. 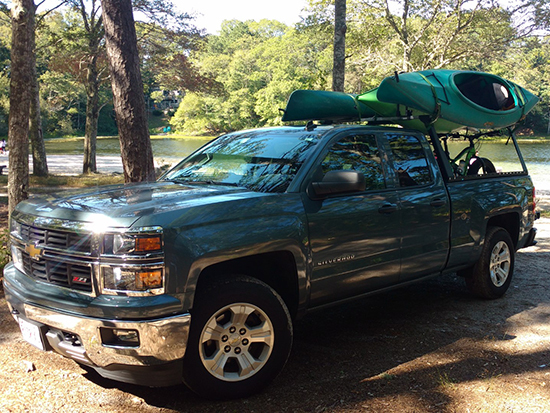 Customer service was super and with their help I was able to easily adapt a Chevrolet rack to the truck. It is rugged, has elegant machining, allows the tonneau to perform as intended and offers plenty of load tie down opportunities along the length of the bed. "